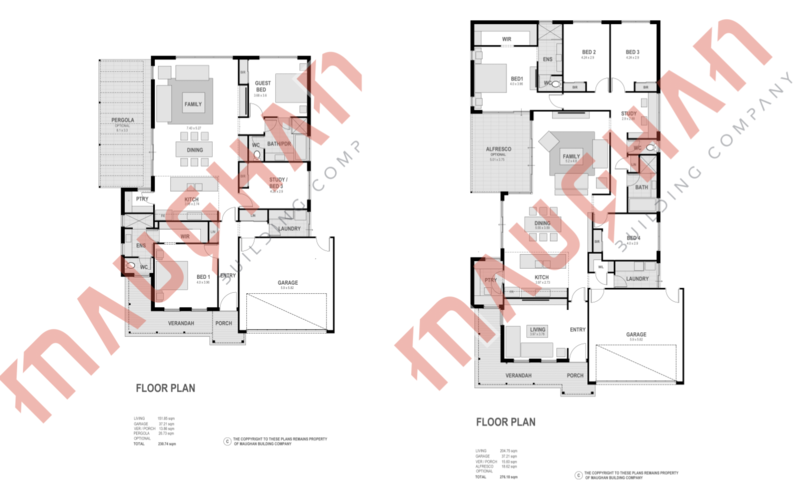 At Maughan we specialise in design and Construction of Custom Federation Style Designs. While the façade will look more traditional federation, efficiency of space within the design has evolved from traditional designs. Formal dining rooms generally have become a thing of the past and more an extension of the main living area. But who’s to say a formal dining room maybe just what you want, we tailor designs specifically to our clients wants, needs and every block sets its own challenges. These are tailored for a specific requirement and more cost effective than the custom product, we invite you to have a look at our couple of standard designs below it just maybe what you are after. 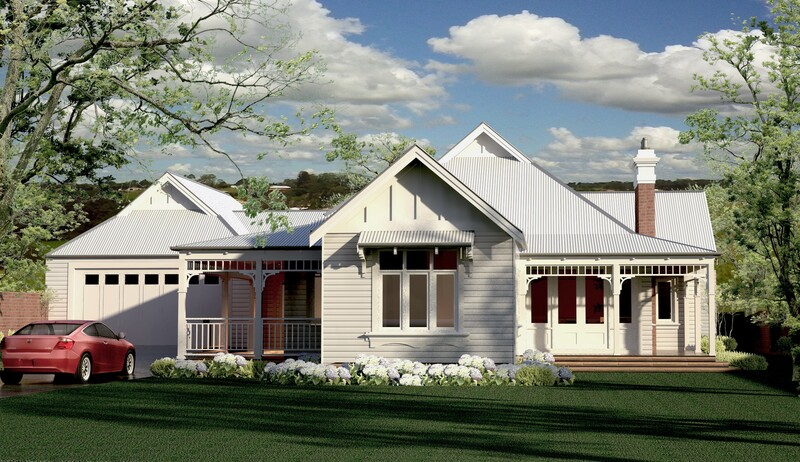 The Maughan Federation Style Home is perfect downsizer in this configuration. 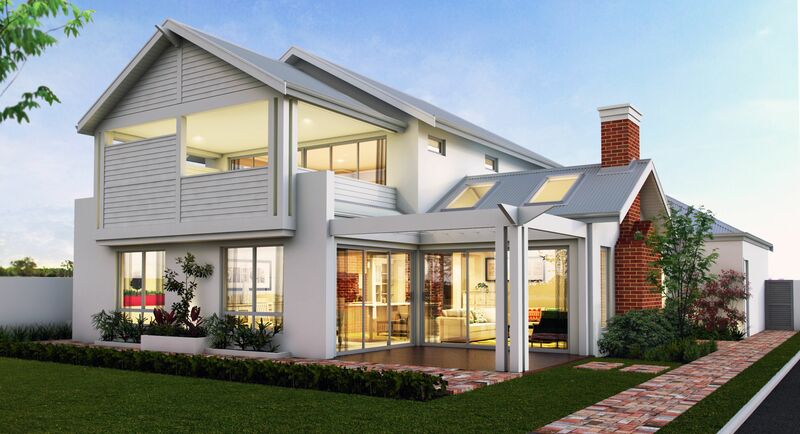 With a timeless and elegant street presence thanks to a traditional returning bull nosed verandah and Entry portico enhanced with classic feature gables, colourbond roof and boxed eaves. A handmade West Australian clay brick with timber and glass, nine light entry door reinforce the cottage feel. The Kirkaugh cottage draws you in. The master suite in the Federation Style Home enjoys the verandah aspect and is of generous proportion with separate walk in robe and Ensuite with Shaker doors to the vanity cabinetry and separate WC. At the rear of the garage is access to the home passing by the laundry and multiple storage options on route to the hub of the house. The kitchen is luxurious and complemented with Shaker vinyl doors under 20mm stone tops. Glass splash back with overheads complement the picture. The island bench has a commanding view of the Meals, Family and outside areas allowing the chef to interact with all living spaces. A bulkhead above the kitchen defines the area and gives it purpose. The Federation Style Home Meals and Family areas enjoy generous spaces and good natural light from large windows and slide door opening on to Optional Pergola. Niches for entertainment and built in furniture are well placed for everyday living. There are two minor bedrooms one with semi ensuite access. Both have built in robes. The second bathroom also features Shaker vinyl doors to the vanity.